At Thistle Finch, we invite you to experience a hidden world where nostalgia and libations rule. Only a short walk away from the heart of downtown Lancaster, our tasting room provides a rustic yet elegant destination away from the distractions of modern life. Step back in time with a classic rye whiskey cocktail, indulge in one of our other specialty cocktails crafted from a unique range of housemade infusions, or enjoy free samples of our distinctive, small batch spirits. 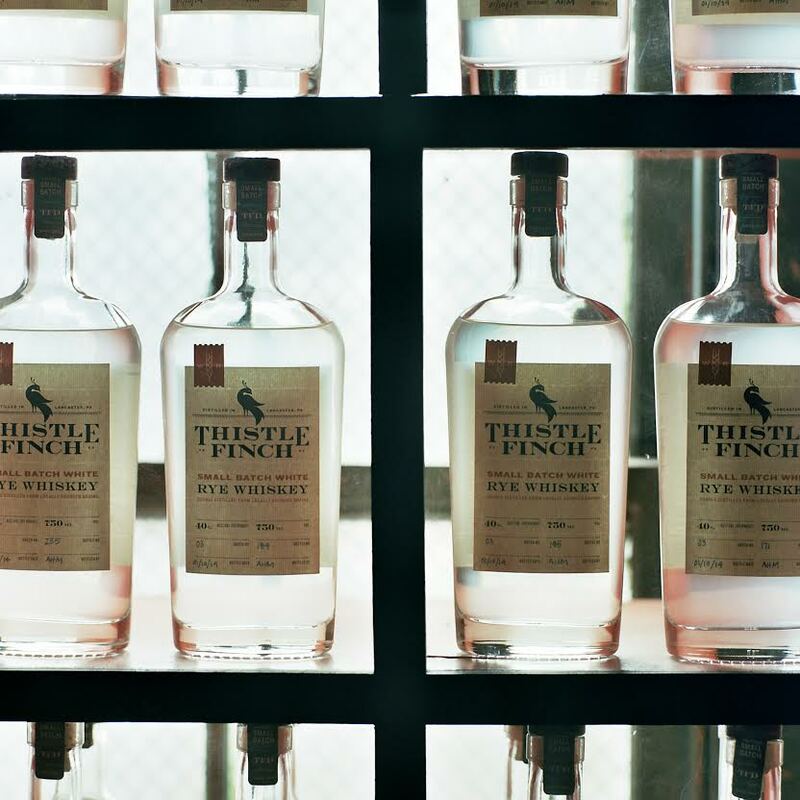 There are many ways to experience Thistle Finch—whether you are looking to learn about the history and process of distilling, searching for a new spot to go out with friends, taking a tour, or you just want to relax with a drink and some quiet conversation—we’ve got what you’re looking for. The distillery is located in what was formerly the Walter Schnader Tobacco Warehouse. Built at the turn of the 20th century, it was placed on the National Register of Historic Places in 1990. In addition to the distillery, the building houses a craft brewery. We provide distillery tours every Saturday and Sunday afternoon. We have taken traditional distilling practices and adapted them with modern techniques in order to create an un-aged whiskey that will stand all on its own. 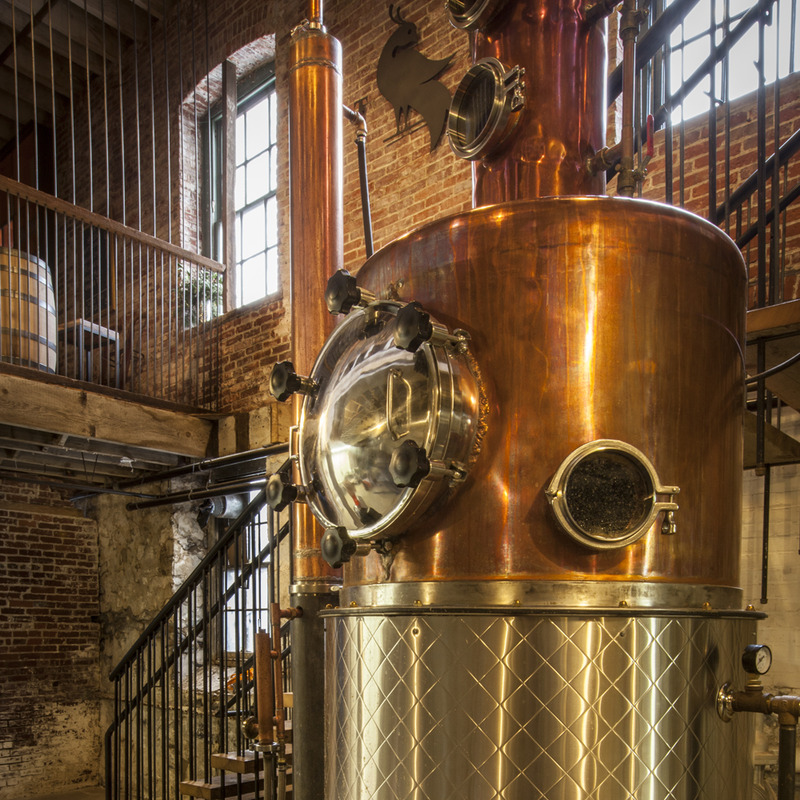 Our whiskey is made with locally sourced grains in small batches in our custom, hand-constructed copper pot still. The principal product here at Thistle Finch is our Small Batch White Rye Whiskey, an award winning finished product in its own right and the first step of what will be a fine, aged whiskey. In addition to our White Rye, we’ve produced two exceptional additional spirits—Market Alley Gin and Penn Square Vodka.